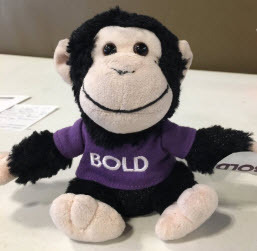 Keller Williams BOLD laws I find useful. Do you? What BOLD laws do you prescribe to? Visitors to our Keller Williams Plymouth office are often struck by a wall mural of BOLD laws. These laws are derived from a highly successful KW course for real-estate agents. Yet they apply to all people with a pulse. Here are a few that strike me as particularly useful. 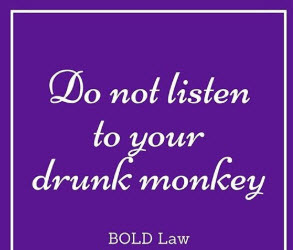 “Don’t listen to your “drunk monkey”. The drunk monkey is that self-destructive, neurotic voice inside your head spouting why you can’t be successful, why you are not worthy. “You’re not smart enough or confident enough. You lack ambition and drive. You will lose out to someone more experienced. You can’t deftly handle a prospects’ objections. You’re too fat.” We all have drunk monkeys. It’s just a matter of how pernicious and numerous they are. Regardless, we must set them aside and cite our affirmations. The purpose of a business is to fund a perfect life. Plan your year, months and weeks and time block your days. LOGIC makes you THINK. EMOTIONS make you ACT. If it isn’t on your schedule, it doesn’t exist. There is no TRY (only WILL). Change your thinking and change your world. Similarly, change the way you look at things and the things you look at change.